TEKNAF, BANGLADESH -- Authorities in Bangladesh were bracing Sunday (Oct 22) for another possible surge in Rohingya refugee arrivals, with thousands from the Muslim minority believed stranded along the border with Myanmar waiting to cross. Border guards are also concerned that the relaxing later Sunday of a temporary ban on fishing in the Bay of Bengal could see a surge in people-smuggling along the coast as unscrupulous captains return to the seas. 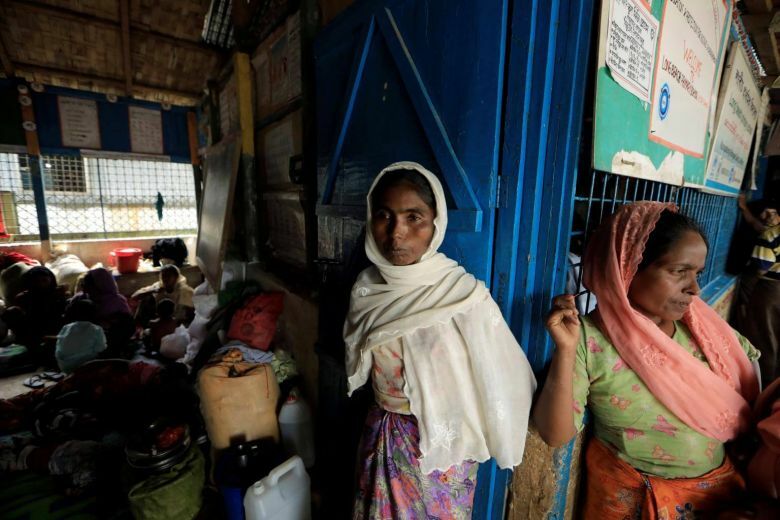 Almost 600,000 Rohingya refugees have fled Myanmar for Bangladesh since late August, when militant attacks on Myanmar's security forces in Rakhine state sparked a major army crackdown on the community likened by the UN and others to ethnic cleansing. Around 10,000 were left stranded in no man's land near Anjumanpara village for three days last week after being prevented from crossing into Bangladesh. They were finally permitted by authorities to enter Thursday (Oct 19). Another border guard told AFP an estimated 10,000 to 15,000 refugees were heading to Anjumanpara but had been pushed back. Refugees arriving Sunday described violence in their villages in Rakhine and food shortages that had forced countless numbers to flee. "We hardly had any food for the last 10 to 15 days. They torched our home. We did not have any choice but to leave," Yasmin, who goes by one name, told AFP at the coastal village of Shah Porir Dwip.